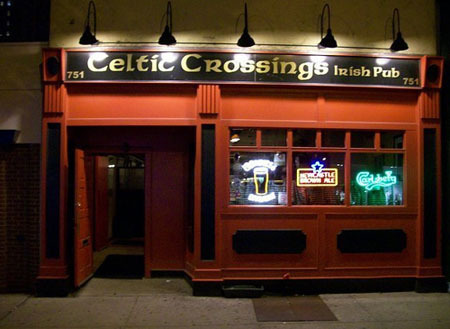 CELTIC CROSSINGS TAVERN earns a high ranking on our list, with lots of excellent beers on tap and a very friendly waitstaff and bartenders who always make you feel right at home. They've got live bands providing the sounds every Saturday night at 9:00 PM, and on Sunday nights they have a traditional Irish jam session, pub style! Gotta love it. There are zero televisions here, so don't come in thinking you're going to catch the game. This is an authentic Irish pub, not an Irish pub sports bar. Great fireplaces for the cold winter months too. Everything about this tavern says comfort.